This curtain has 34 strands of beautiful twisted beads and is 35" Wide x 70" Long. Our wonderful heavy-duty acrylic beaded curtains are a perfect addition to any room! Use in the place of regular doors, closet doors, on top of a shower curtain or behind a bed as a headboard to add the illusion of height to any room! 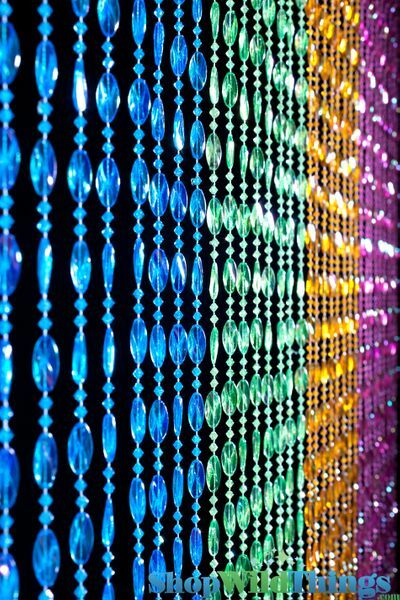 This curtain has iridescent beads and shines so beautifully! 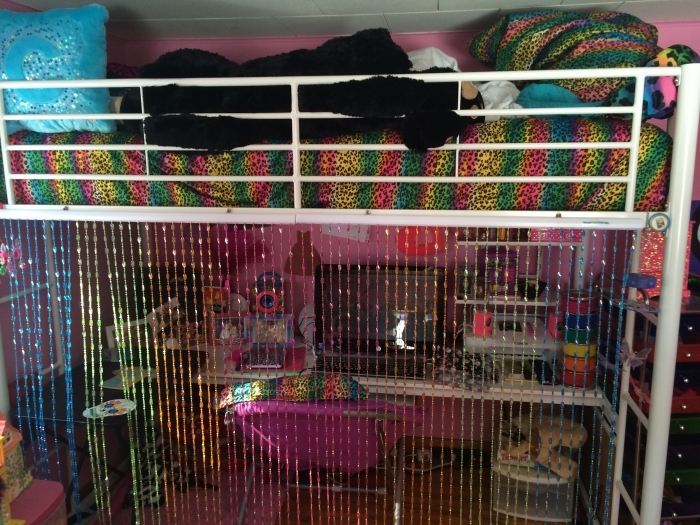 This multi-color pastel beaded curtain has pink, orange, green and blue beads. It is also available in brown tones, rainbow, black, and purples and pinks. I've been searching since December to find just the right bead curtains. I wanted to put then across the front of my daughters loft bed. Not only did I find just the right bead curtains but also a truly beautiful chanlier that matched them. Everything turned out sooooo beautiful and perfect. I'll be back soon because my oldest daughter was extremely jealous and wants a new room make over as well. Thanks for having everything I needed. Merchant Response:So cute! Thank you so much for taking the time to write your review and send photos. This really helps fellow customers so much. We appreciate you! ConsNone really. They're truly perfect. Small closets with no doors in a house built in 1918. I grew up here and then moved my family here in 1995. 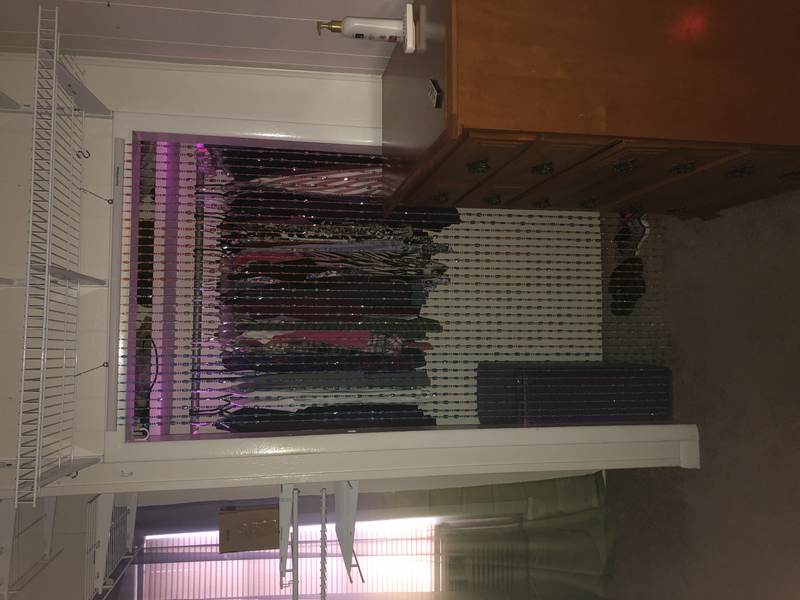 This is the first time I�€™ve had the chance to do something for the closet in my bedroom. They are perfect. 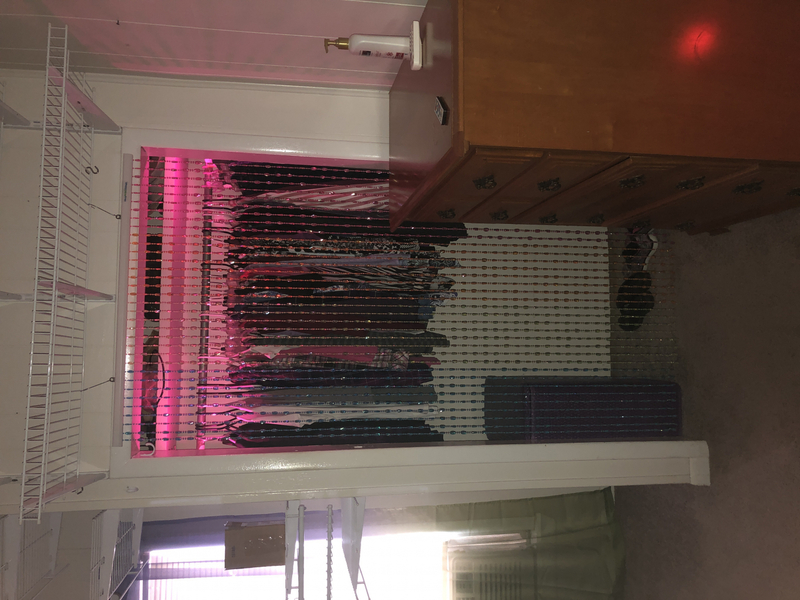 I have also put in puck lights because it�€™s so dark and they make the beads even more beautiful! They had a great selection of beads and great prices. Exactly what I was looking for and I look forward to buying more items from this site. 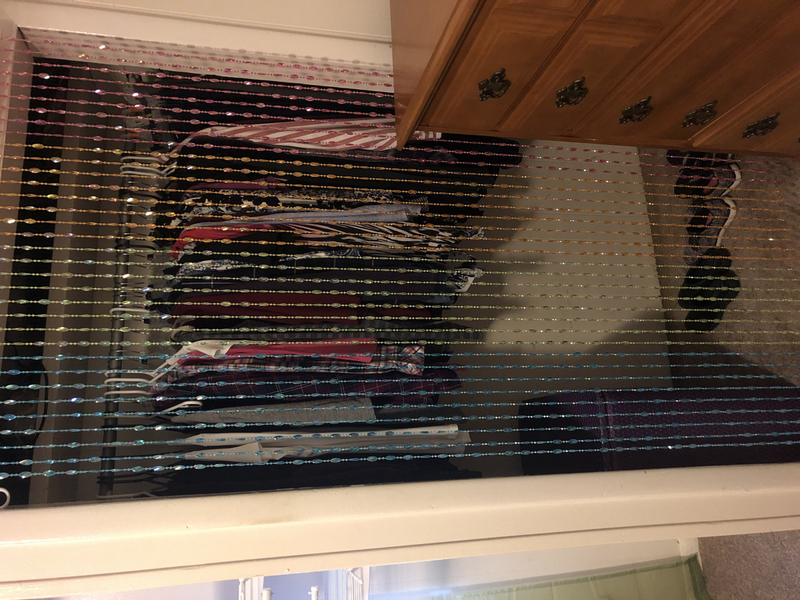 Instead of the closet door my granddaughter had this beautiful beaded curtain hung over her bedroom door on the outside. She is a new teen and just thrilled. It also came very quickly. Great gift. Consmeasure first! Too big for closet as it was more the size of a smaller linen closet. However, it is on another door and just fine. I bought this curtain for my grandaughter's bedroom makeover, and it's beautiful. She loves it! Also, the customer service is fantastic. They actually saved me some money on shipping!!! Who does that these days? These guys! ProsThe colors are beautiful and the quality is top-notch. My daughter loves them! They are made so nice and they look beautiful. ProsEaverything! They are easy to hang they are made well. This far exceeded what I was expecting. Wonderful product my daughter just loved them. I purchased these for our daughters 8th birthday. She loves them. They were easy to hang. The price is great. I went to Club Tabby at our mall to get some. $$$$ These were more than half of their prices. Love shopping on Shop Wild Things! !